Transverse Rectus abdominis Muscle Flap) adhesions are often the result and consequence. with her surgeon (he and his nurse came with the patient to observe the adhesiolysis procedure). one can see the reformation of adhesions under the mesh. and no adhesion reformation at the second look laparoscopy. And in the same patient who underwent an abdominal hysterectomy years ago some more adhesions coould be detected. 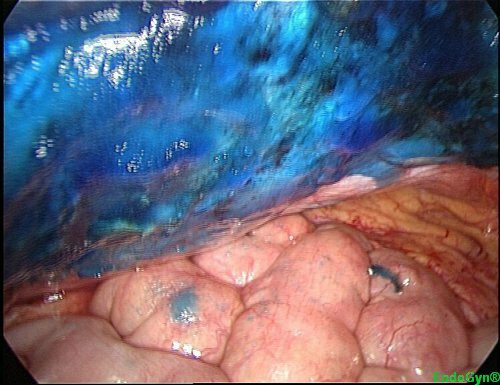 and the second-look laparoscopy shows no adhesion reformation at this area.